Flip a coin. If heads the user bites down on one of the opponents limp. 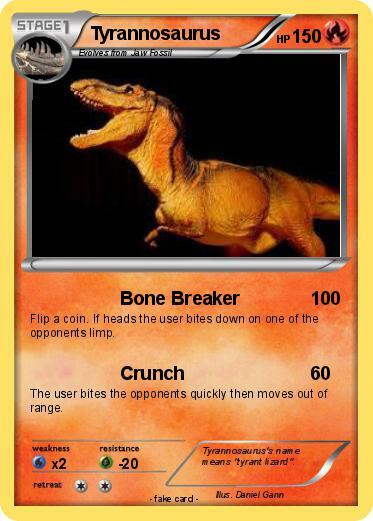 The user bites the opponents quickly then moves out of range. Comments : Tyrannosaurus's name means "tyrant lizard".